Long Beach Boat Building Ltd. was established in 2000 and builds durable and reliable commercial and pleasure boats up to 45’. Keith Boutilier and staff bring 14 years of combined boatbuilding experience to the company. 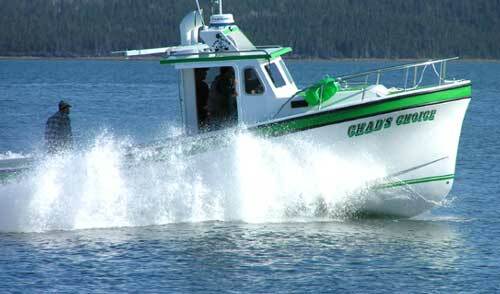 All boat parts are solid moulded fibreglass and each vessel is custom finished to meet the owner’s requirements. The company is developing a 32’ hull that will be made available in both commercial and pleasure versions. Our facilities are located in Port Morien, Cape Breton. Port Morien is about 25km from Sydney, an historic village in south-eastern Cape Breton with a population of approximately 1000 people. It is one of the oldest villages in Canada, having been settled by French in 1720. It was in this village that the first coal workings in North America were established. The coal was initially used to supply the fortress at Louisbourg.